Many of us find that we simply need more space and better storage solutions for our things. We've purged and gotten rid of extras, but we still need a way to store the items we need, use and love. Take advantage of vertical space behind doors, on blank walls and inside closets with hanging shoe organizers. These inexpensive organizers feature multiple pockets perfect for holding a lot of surprising items. Almost everything needs a charging cord. Add in extension cords and other electronics, and you'll find cords are taking over the drawers. 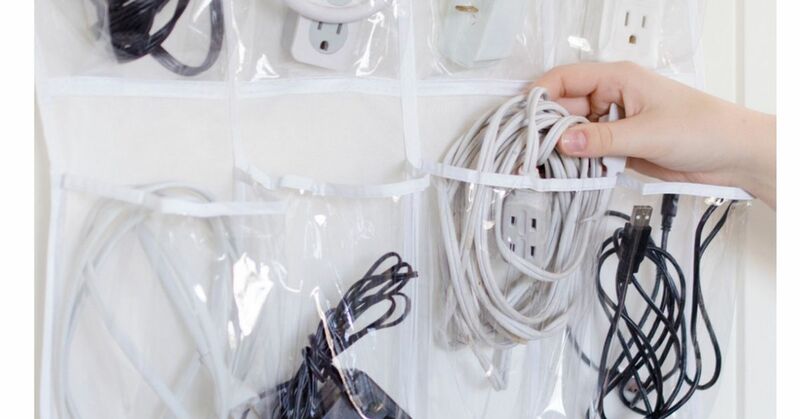 Tossing them in a drawer or box can lead to damage to the delicate wires located in chargers. 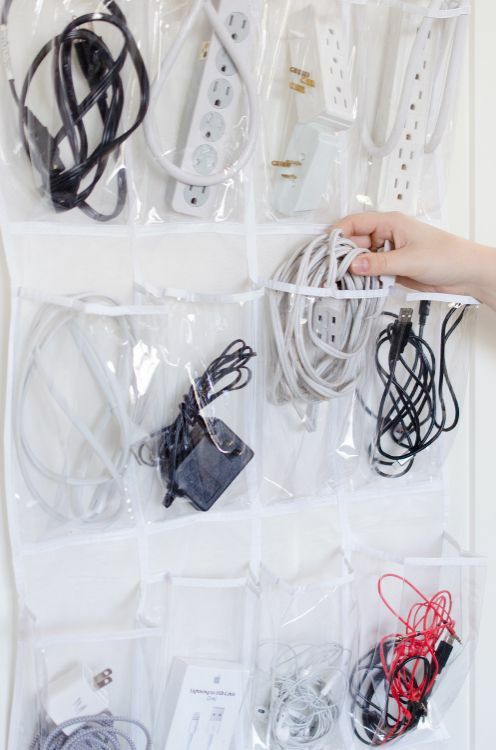 A hanging shoe organizer is the perfect solution for organizing electronic cords. Each cord can have its own pocket, and you can easily find what you need when you need it. Water bottles don't behave well in cabinets: They fall over easily and often are too tall. 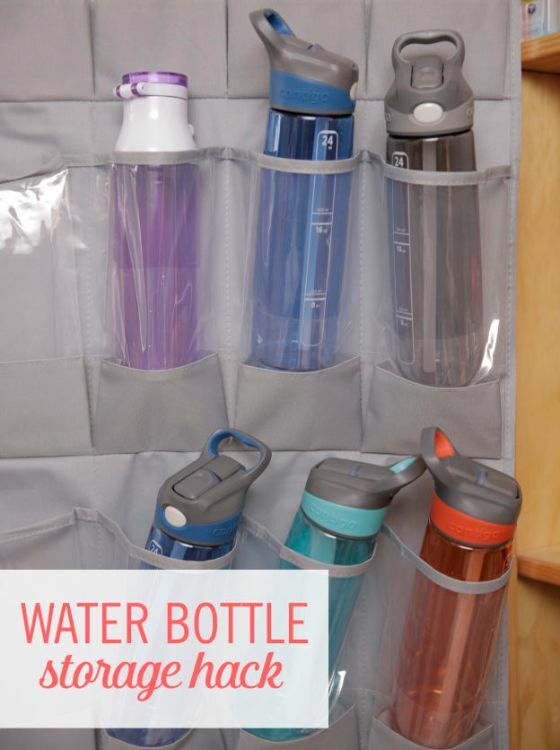 A hanging shoe organizer works well for holding water bottles. 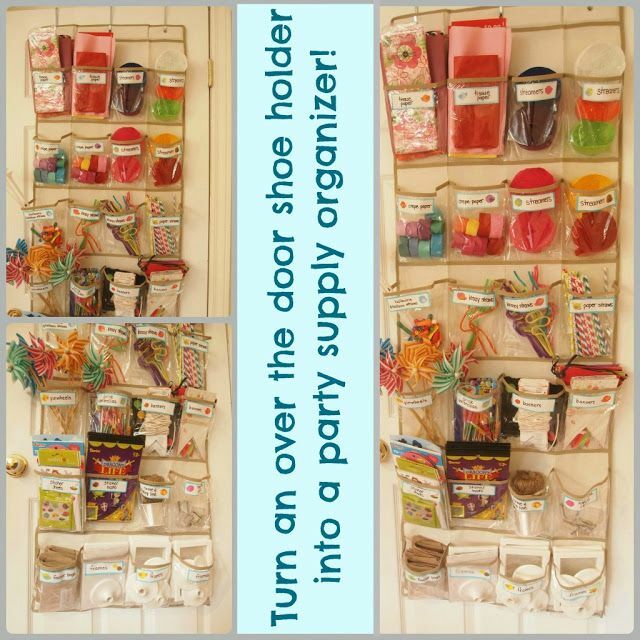 Simply hang the organizer inside the pantry door or on the kitchen door and keep bottles close at hand. This also helps encourage your family to stay hydrated. Legos can be a storage nightmare. This creative idea creates a wall of Lego bricks organized by color. 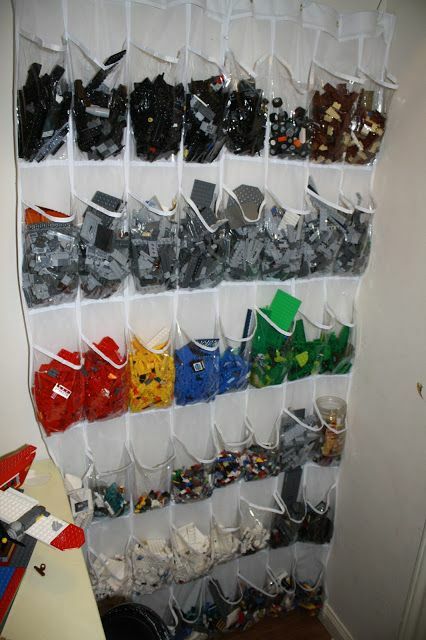 You can adapt this idea to organize your own bricks by project or type. Hanging on a wall next to a table, it makes an afternoon of building a snap. Reduce the clutter on bathroom counters while still getting ready quickly in the morning by hanging a nice canvas shoe on the back of the bathroom door. Slip everything from a blow dryer to moisturizer in the pockets for easy access when you are in a rush. 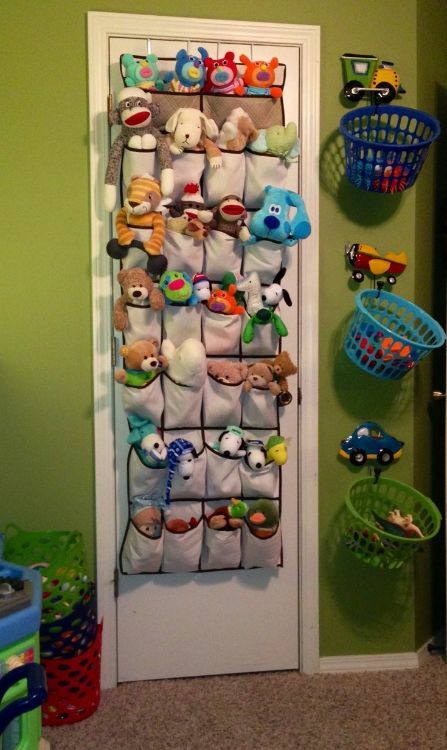 Transform an overflowing collection of stuffed animals into a beautiful display of your child's favorite friends. A canvas shoe organizer becomes a home for small to medium stuffed animals. Your child will always know where the stuffed animals go when helping you pick up. If you entertain a lot, this idea will help you keep party supplies easily organized. A clear plastic shoe organizer is effective for storing all the little things that make a party special: straws, fancy toothpicks, streamers, balloons and all those colorful party favors. 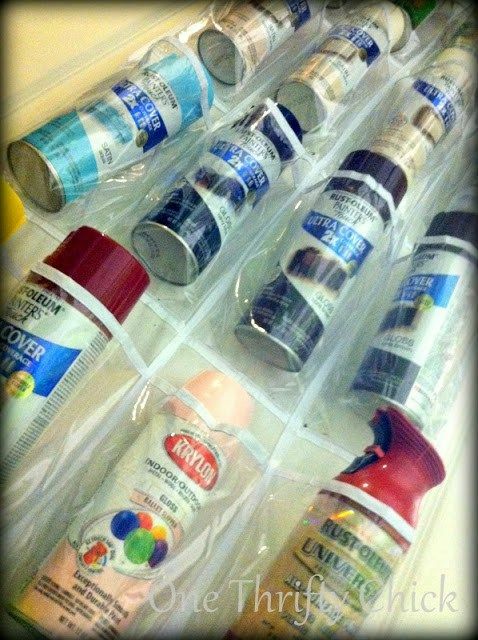 Spray paint and other craft paints can easily take up an entire shelf in a craft room or garage. Plastic shoe organizers can hold multiple cans within easy reach. To compensate for the weight, be sure to hang the shoe organizer securely to the wall using wall anchors. 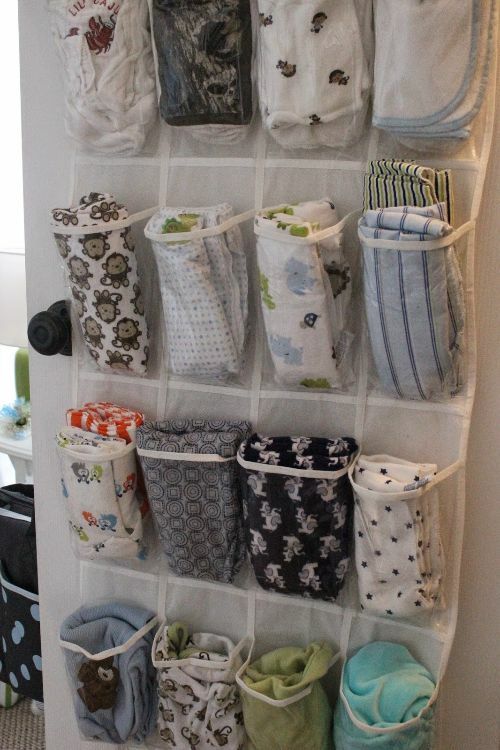 Save drawer space and keep burp cloths and swaddling blankets within easy reach by hanging a clear, plastic shoe organizer in the nursery closet or on the back of a door. You can quickly see what you need and retrieve it with just one hand, which all moms know is a definite essential. 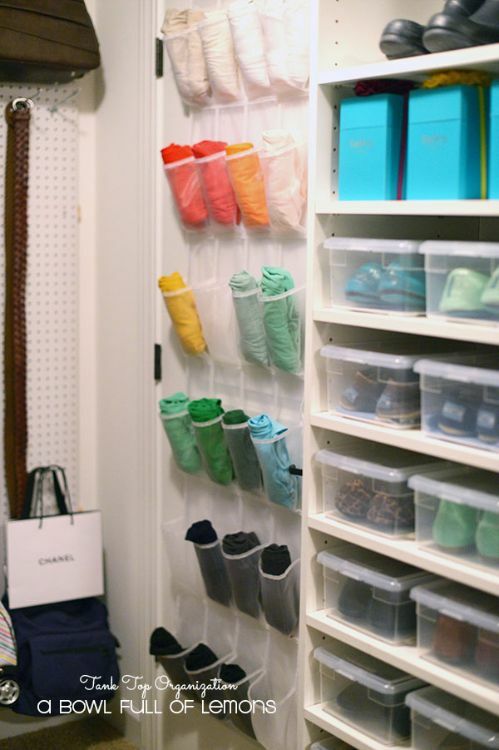 Shoe organizers were created to go in the closet, but you don't have to put shoes in them. Keep tanks and leggings organized by rolling and placing them in a clear plastic shoe organizer. 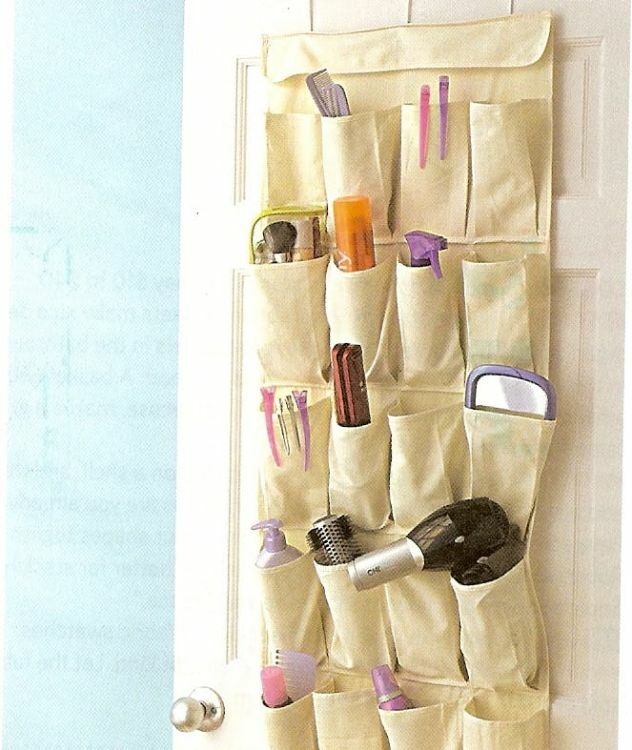 You can also add scarves, belts, wallets and other accessories to this handy closet organizer.